We are pleased to offer a groundbreaking program in Culture-Based Quality™ (CBQ). Developed in collaboration with GE, and implemented at ten of their facilities in the U.S, Canada, and Europe, Culture-Based Quality™ is value-added for any quality manager who wishes to strengthen the culture of quality in their organization. All too often, quality programs are seen as add-ons or overlays to existing management systems, competing for attention and resources. In a positive quality culture, management systems are integrated with quality initiatives. We have found that in a culture of quality, employees at all levels take ownership of and responsibility for quality service and products. Leadership is aligned and all levels of the organization share the same overriding goal of achieving maximum client satisfaction. Instead of employees shrugging off responsibility and pointing fingers, they recognize their own role in the quality continuum. 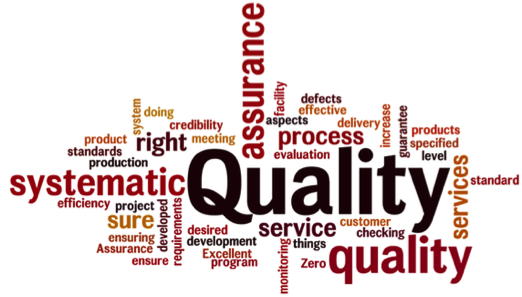 Quality is no longer the sole responsibility of a few inspectors and quality managers, but of every employee. Our CCC senior consultants worked closely with GE quality and operations leaders to create this new generation of quality intervention; and Culture-Based Quality™ is now a proven and well-tested reality. Culture-Based Quality is not a substitute for existing quality initiatives – whether Six Sigma, TQM, or Lean – but, rather, a complement to them. GE sees CBQ™ as the latest stage of quality evolution, another level on the quality pyramid. Culture-Based Quality™ not only can coexist with traditional quality, but it will enhance its effectiveness. A workshop introduction to the quality culture change process. It can be presented to a leadership group or a broader audience. 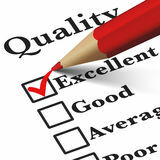 An assessment of the existing quality culture. This includes a validated Quality Culture Perception Survey™, focus groups, and interviews with key personnel. The quality culture assessment is the best way to discover the strengths and weaknesses of the quality culture so as to prioritize what areas need to be improved. Team formation and training. Quality Culture Change Teams are established and engage as many employees as is practical. Often a two-tier structure of Guidance Team and Grassroots Quality Team(s) works best. Project planning and execution. Culture-Based Quality™ is plant and project-specific. It engages the attitudes and beliefs of employees, improves specific conditions and systems, and dramatically enhances the plant’s culture of quality.